Obstetrics - Faith Regional Physician Services, L.L.C. Obstetrics is the medical specialty that provides care to women during pregnancy, childbirth and after childbirth (postpartum). Your obstetrician can get you started on a pregnancy plan that will most benefit you and your unborn child. If you are over 35 years old and are a high-risk patient, your doctor may also recommend an amniocentesis or Chorionic Villus Sampling to detect any birth defects in your baby. It is also important during this time to take prenatal vitamins and eat a healthy, well-balanced diet. While prenatal vitamins provide the supplements, such as iron and folic acid, needed during pregnancy, a well-balanced diet provides energy for the mother-to-be and nutrients for the baby. Childbirth, also known as labor and delivery, is an exciting time as you bring a new life into the world. Delivery methods include vaginal, cesarean section and VBAC (vaginal birth after cesarean). The best way to prepare yourself mentally and emotionally for labor and delivery is to educate yourself on the process. The more you know about the process and what to expect, the more confident you will be. Many women make a birth plan (a statement of preferences) before going to the hospital for delivery. A birth plan includes such points as if you want a natural delivery or an epidural, items that you may want in the birthing room (cameras or music) and who you want in the birthing room with you. 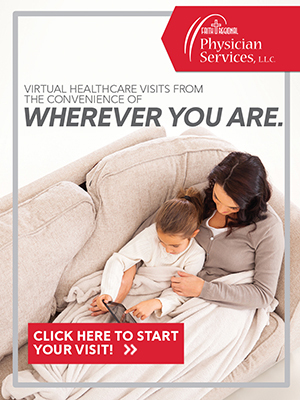 After the baby arrives, you may have a lot of questions or concerns about your care – from vaginal soreness or abdominal pain. You may also experience constipation, vaginal discharge and hair loss. Your breasts may become sore and swollen in preparation to produce milk. You may also have concerns about breastfeeding, the proper techniques of breastfeeding and if your child is getting enough to eat. In addition, hormonal changes in your body can contribute to the emotional changes you may be feeling. You may experience the “baby blues” which can include crying, anxiety, and sadness. It is important to know that these feelings are normal. If you begin to experience insomnia, loss of appetite, lack of motivation, obsessive thoughts, extreme fatigue and irrational thoughts, you may have postpartum depression. Please contact us so we can offer treatment.